Developers have been bracing themselves for a tough 2019: the full effects of the property cooling measures are weighing on homebuyers’ decisions, while a pipeline of about 60 projects with close to 20,000 new units is geared up for launch. 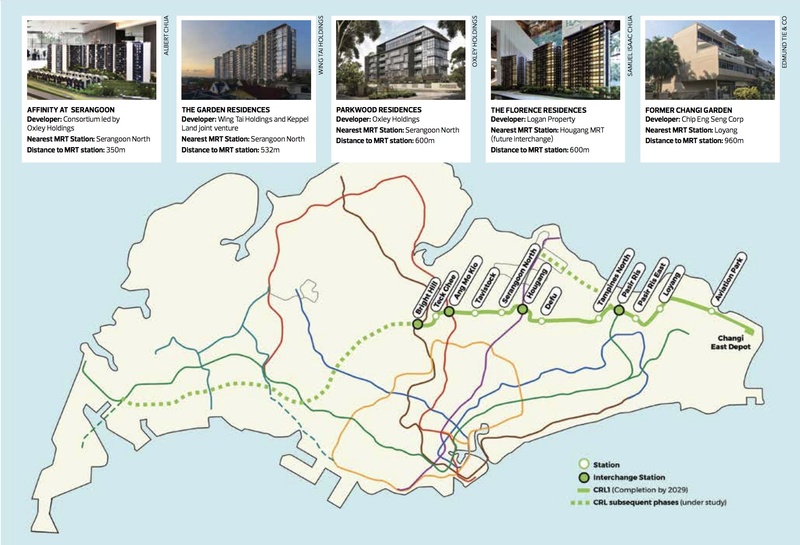 However, some developers received an unexpected windfall on Jan 25: On that day, Transport Minister Khaw Boon Wan and the Land Transport Authority (LTA) revealed the locations of the 12 new stations for the first phase of the Cross Island Line. Although construction works are scheduled to start only next year, with the first phase of the Cross Island Line to be completed in 2029 – a good 10 years from now -- sales have already started to ramp up for some developers since the weekend of Jan 26-27. The most immediate beneficiary of the announcement was Affinity at Serangoon, the 1,052-unit residential project located at Serangoon North Avenue 1. The condominium, developed by a consortium led by Oxley Holdings, saw 31 units snapped up on the weekend of Jan 26–27, according to Eugene Lim, director of marketing and sales at Oxley Holdings. By Feb 7, the sales figure had risen to 70 units, bringing the total number of units sold in the project to 390 (about 37%). The spike in sales is due to the location of the Serangoon North station, one of the 12 new MRT stations on the Cross Island Line. The station is located just one street away from Affinity at Serangoon; in fact, one of the station’s exits is situated just 350m from the upcoming development. 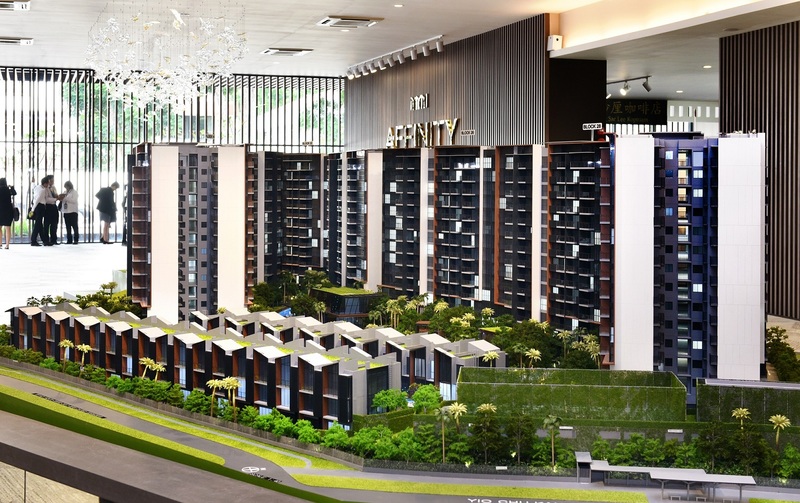 Given the strength of the sales over the weekend, the Oxley-led consortium has decided to build a new compact, three-bedroom show suite at the sales gallery of Affinity at Serangoon. It is scheduled to open to the public by the end February, says Oxley's Lim. The developer is expected to adjust prices upward after the Chinese New Year period.